Colin's golf belt buckle campaign on Kickstarter goes live tomorrow morning at 8am PST. 1. Innovative gear – The EOTG buckle is the world’s first (patent approved) buckle in which both your divot tool and marker are secured in a unique, stylish belt buckle. 2. Simple design – The EOTG buckle has 3 pieces: the buckle, the ball marker, and the divot tool. 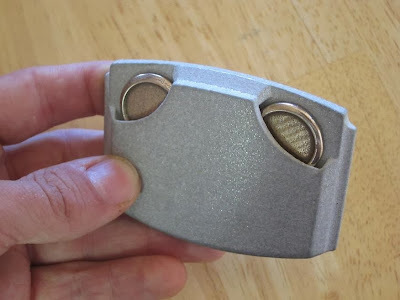 The buckle has a low-profile design so that it is versatile and won’t be in the way. The color combinations options for the golfer to represent their teams are unprecedented in the industry. 3. Made for golfers – The EOTG buckle delivers your most needed tools reliably in the same spot right at your fingertips, so you never have to check your other pocket or run back to the cart.